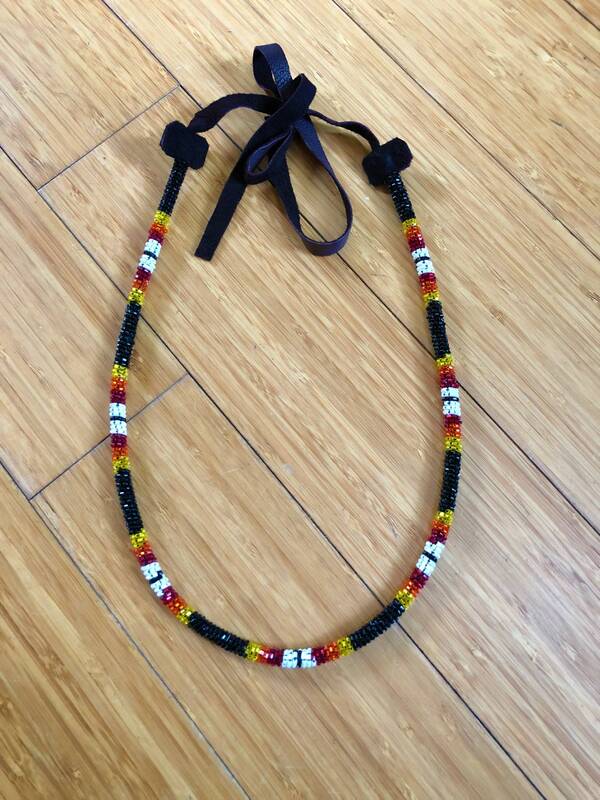 Handmade Native American beaded necklace with traditionally smoked buckskin tie. Length of beadwork is 22”. 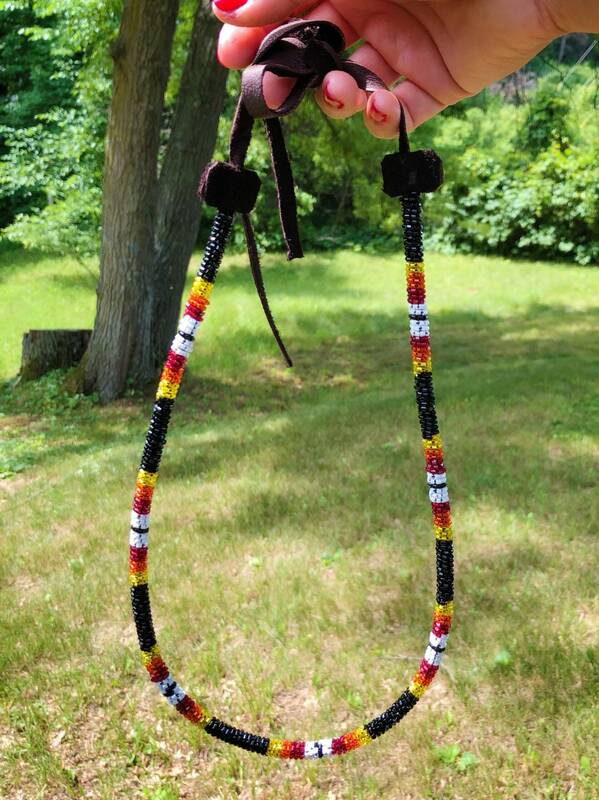 Beaded with black cut beads in conjunction with the fire colors. This is a traditional style great for regalia or everyday wear. 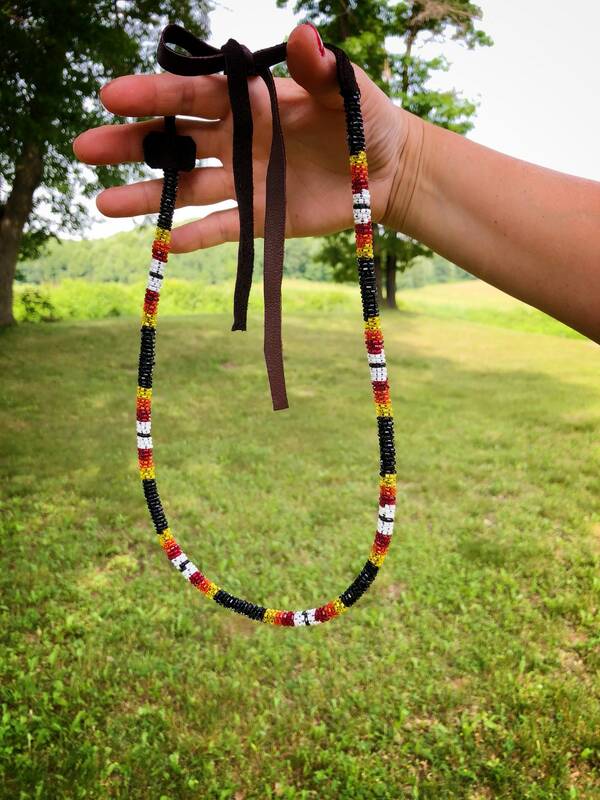 This necklace is one of a kind, handmade by a member of the Cheyenne River Sioux Tribe. This item comes with a Certificate of Authenticity in compliance with the Indian Arts and Crafts Act of 1990.